If you live in the Sevenoaks area, you will be pleased to know that we provide comprehensive and professional painting and decorating services throughout the area. Offering over 18 years’ experience in the industry, we provide everything from exterior painting to interior painting and decorating, plumbing, electrics and bathroom refurbishments. Over the years, we have worked with a wide variety of domestic and commercial clients, each with differing needs. 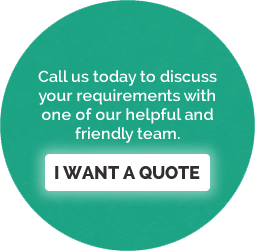 Our experience means that we can help, no matter what painting, decorating or property refurbishment requirements you have. Aside from our painting and decorating services, we also have additional expertise in plumbing, central heating and electrics, with our team being qualified and certified by Gas Safe and Part P respectively. As decorating and building refurbishment specialists, we also provide first class insurance services. We will deal with your insurance company directly and take care of everything for you so that you don’t need to do anything other than get on with looking after your family or business. If you are a Sevenoaks based homeowner or commercial business, speak to the painting, decorating and property refurbishment experts at Daniel Barrett Decorating Services today!